All of the flowers from the French Cottage Garden Pillows & Flower Bed Set on two garlanded panels. Place them between rows of pinwheels and finish with wide borders. 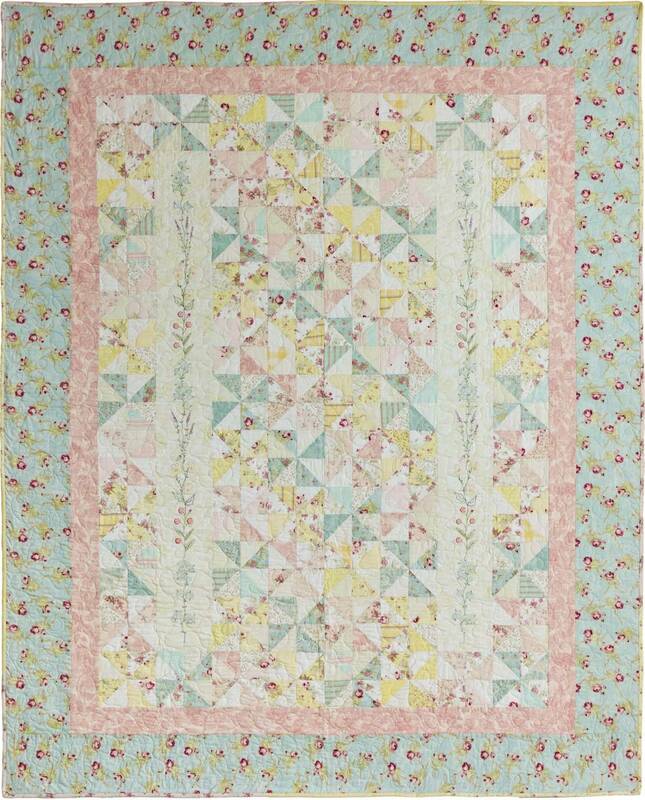 Such a feminine quilt.